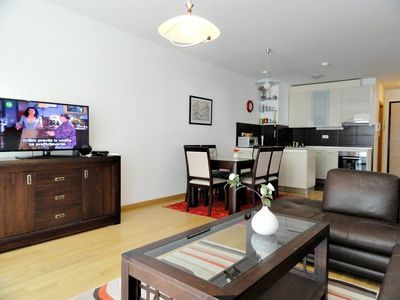 Tastefully decorated Bayview Studio apartment with amazing sea view. 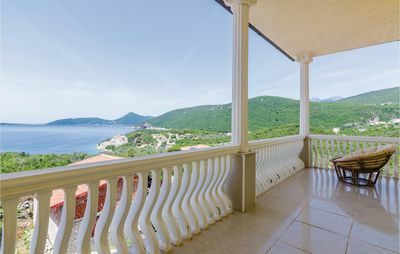 Fully-equipped with security cameras, gated parking space, A/C, LCD TV, WI-FI, hairdryer, beach you with comfort and everything you may need for relaxing & enjoyable vacation in Montenegro. 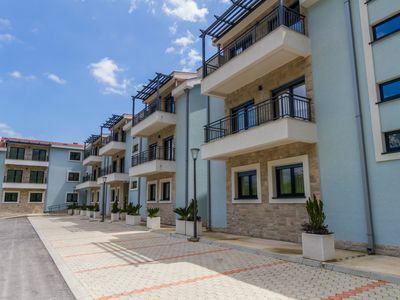 With short walk to the best beaches of Tivat, Porto Montenegro and great restaurants and cafes this apartment location is on high demand. 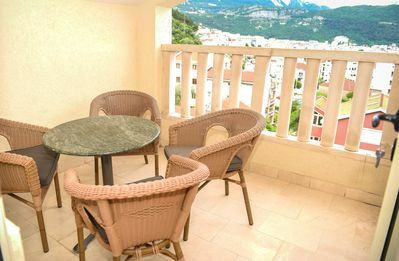 Deluxe Bayview studio apartment located 200 meters from the sea has a offers a magnificent view of the Bay of Tivat. 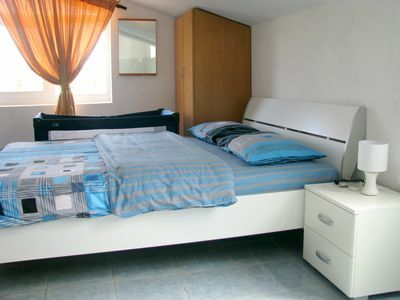 The apartment is tastefully decorated and fully-equipped with AC, LCD TV, WI-FI, fridge/freezer, microwave. 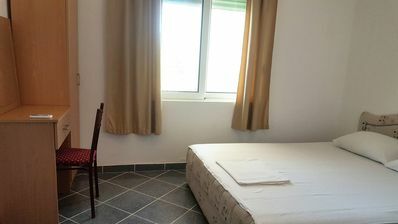 hairdryer, electric kettle, iron, iron board, clothes dryer, umbrella, bathroom with shower, fresh bedding and fresh towels as well as beach towels... providing you with comfort and everything you may need for an enjoyable vacation in Montenegro. 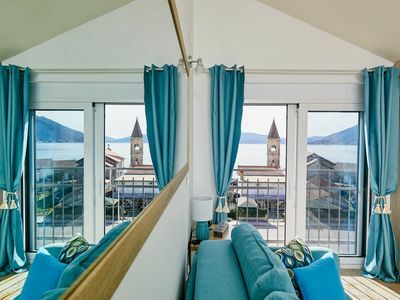 The french balcony offers you breathtaking panoramic views of the Tivat Bay, and the passage for the world’s biggest Mediterranean cruise ships. 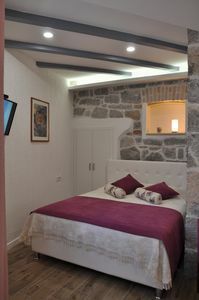 This apartment will enable you to spend a relaxing and memorable vacation in Montenegro. 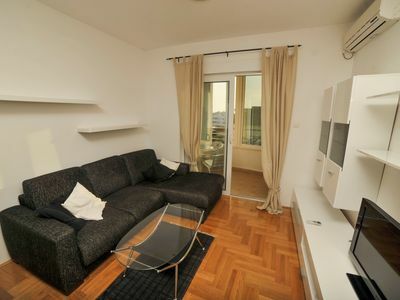 The apartment consists of a living room with corner sofa bed that sleeps two people, and double sofa bed joined with fully-equipped kitchen annex, table and stools. The apartment has its owned security cameras protected parking spot. The apartment is on the third floor of the apartment building finished in 2015. It has its private entry and private parking lot. We speak fluently Polish, English, Serb-Croatian and we can manage to communicate in Russian language. 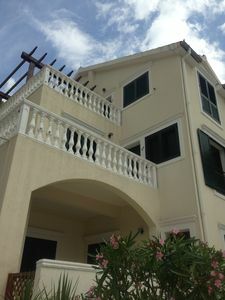 Upon guests arrival the property owner has one on one meeting and greeting with the guest as well giving maps and other information about Montenegro and what’s to see and do here. 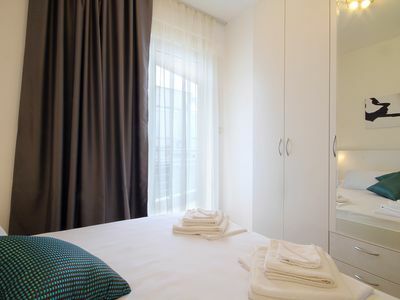 The property owner is always available over the Viber, What’s App, email, phone and can serve and fulfill your requests within reasonable time from the moment of your arrival to the very end of your stay. 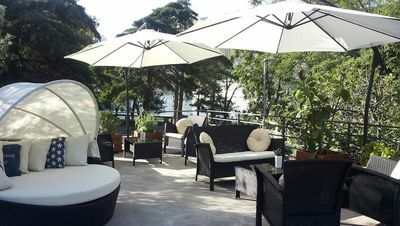 At Bayview Apartments we reccomend boat rental services, bike rental, as well as airport pickup/drop-off services, we can help you organize the excursions, boat trips, put you in touch with car rental services, make your restaurant reservation, arrange massage appointments anything your desire to make you enjoy your trip. 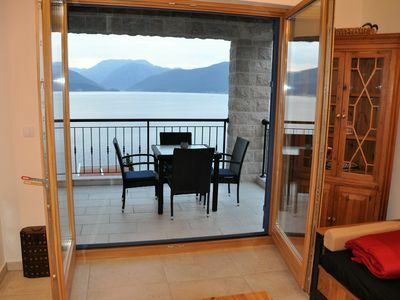 Bayview apartment is located 200 meters from the sea in the town of Tivat district Dolnja Lastva. 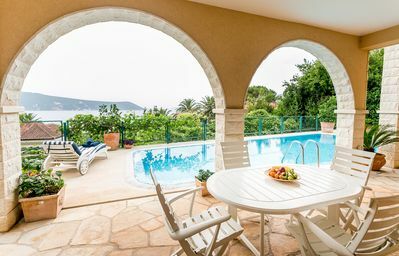 Apartment location is ideal because of its proximity to the spectacular Porto Montenegro, where you can enjoy the world s largest luxury super yachts. 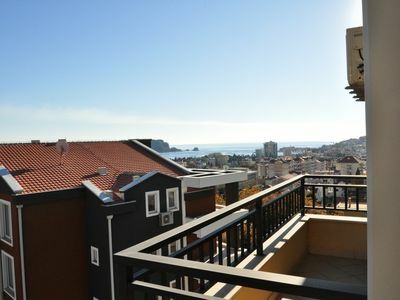 This affordable apartment lets you admire beautiful views of the sea and the mountains, just a few steps from the main public beach and a nice afternoon stroll by the sea leading to city center, small shops, restaurants, cafes and bars. Newly opened Waikiki Beach Club and Restaurant is located a short walking distance from Bayview Apartments. Waikiki Beach is a privileged place having a quite sandy pebbled beach with 180º bay and mountain view. Waikiki is a hang out by the sea and a lifestyle concept with sea food, international cuisine & drinks, lounge, terrace, and amazing children playground. The public bus stop is conveniently located just 0.2km from the Bayview Apartment. 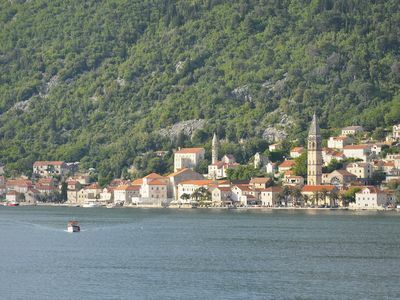 The old town of Kotor is half an hour bus ride from the apartments. 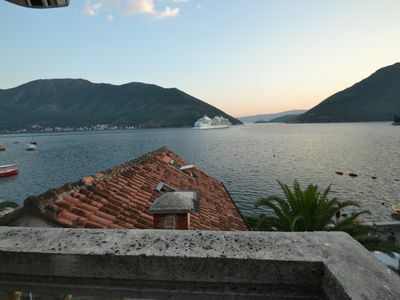 We do recommend taking a bus to Kotor to avoid the traffic, as well as parking fees. 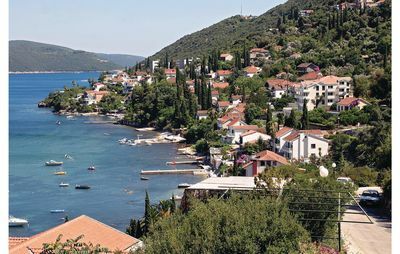 Tourist information office is 0.3km away from the apartments which is great solution to get further information about Montenegro. Nearby are great restaurants where you can enjoy delicious seafood and a mini market. Public parking is on the street and is subject to availability.